across Caribbean waters. Enjoy fresh entertainment in our "Slot of the Month"
* The bonus offer expires on August 12th 2018. * Double comps are only valid for "Crystal Waters" from 1st to 31st August, 2018. 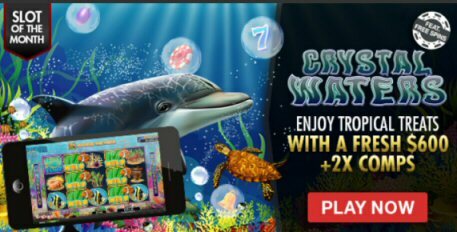 * The free spins are only valid for "Crystal Waters". They are so great to players!